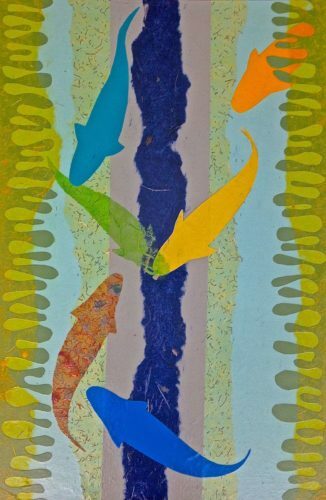 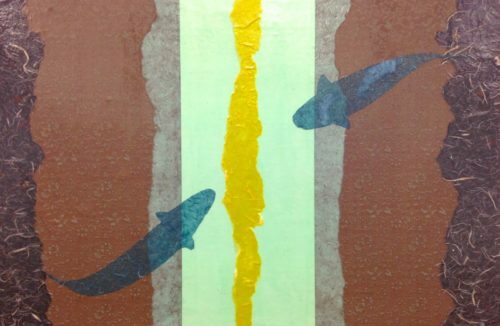 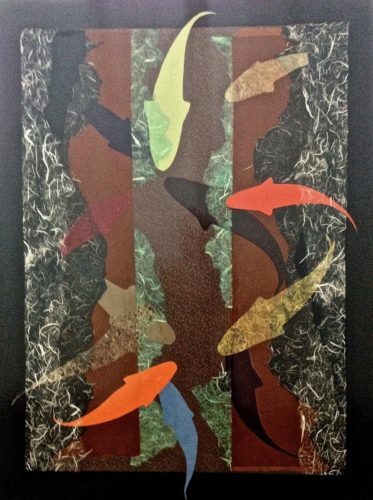 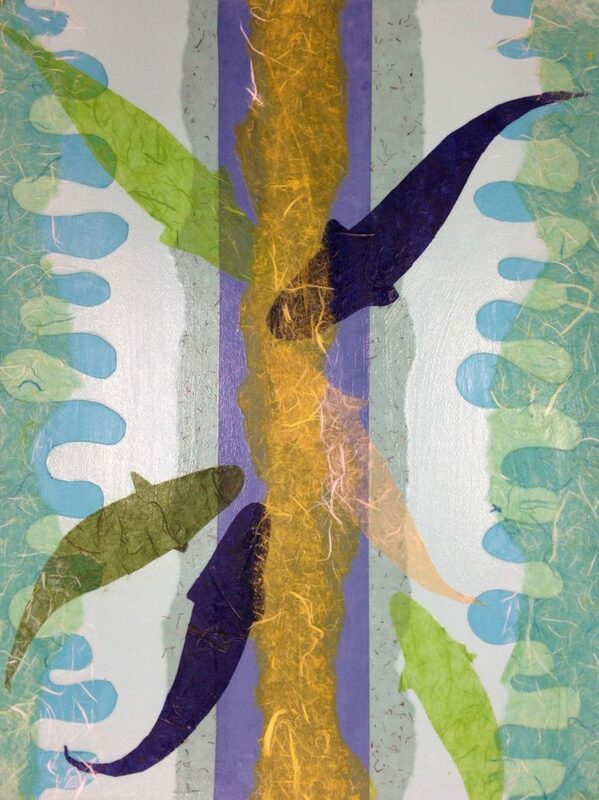 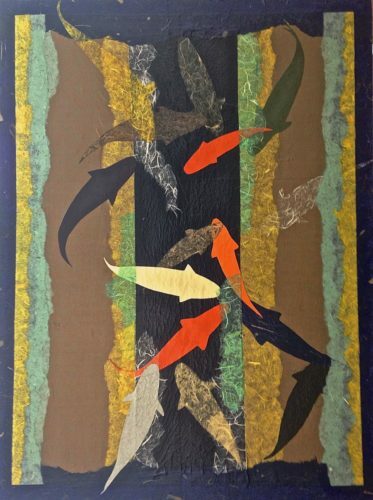 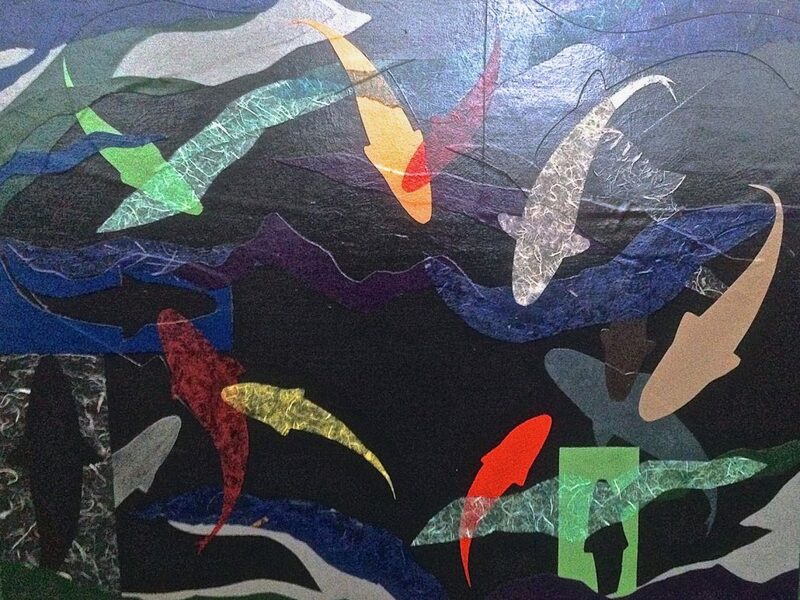 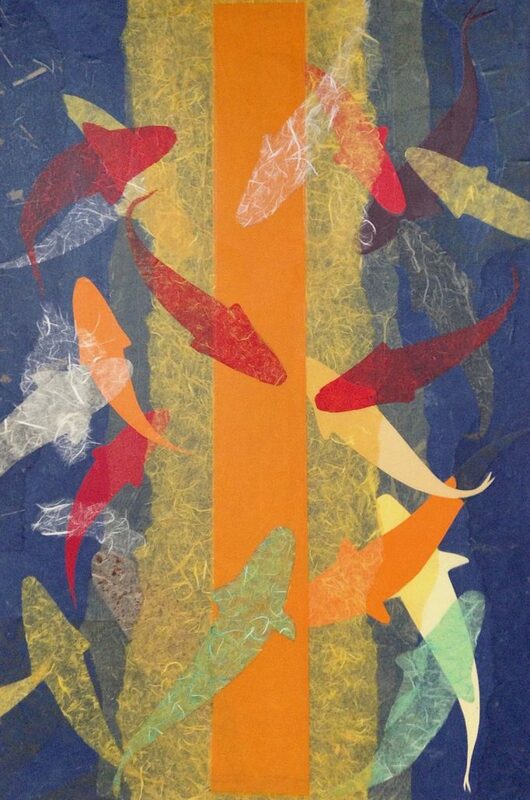 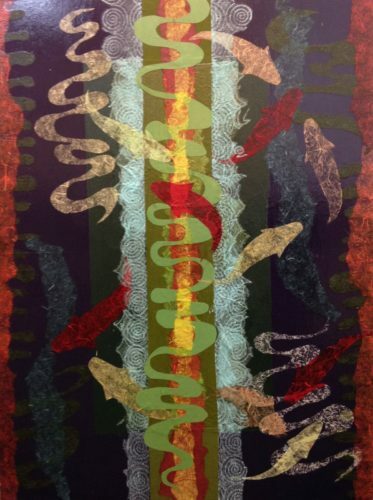 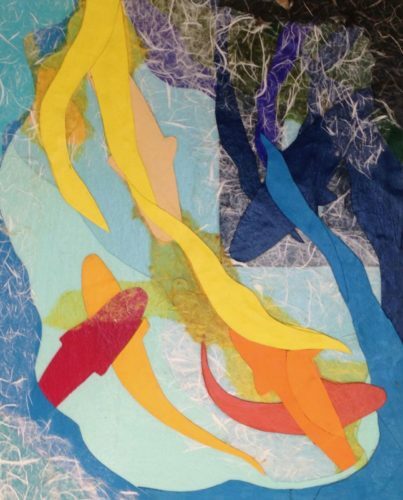 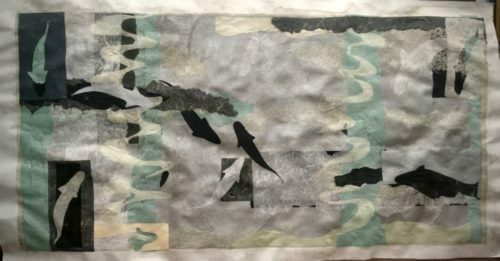 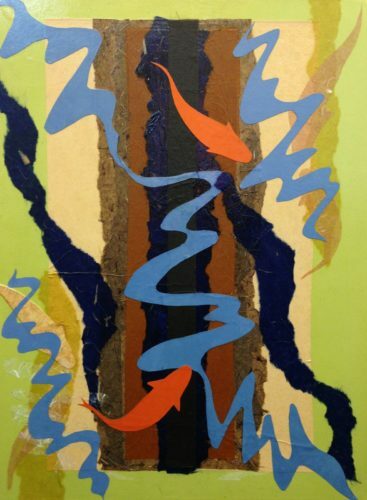 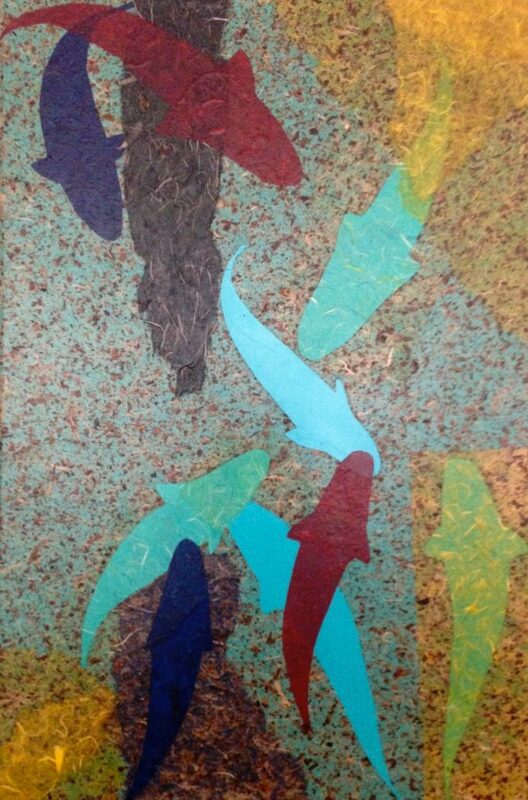 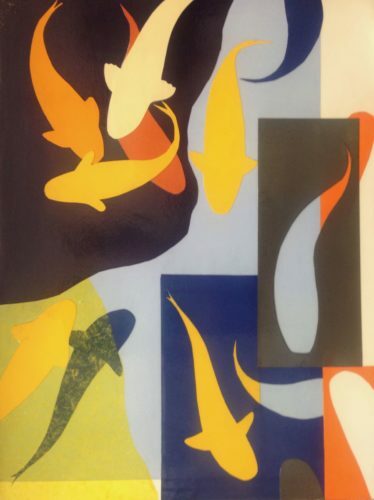 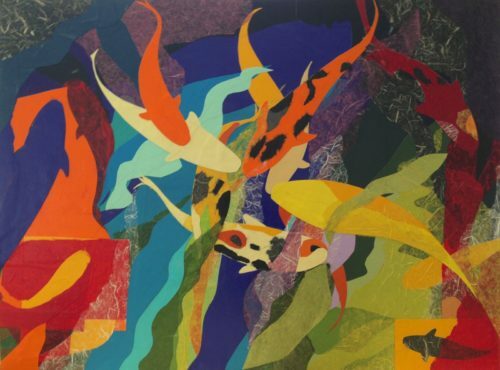 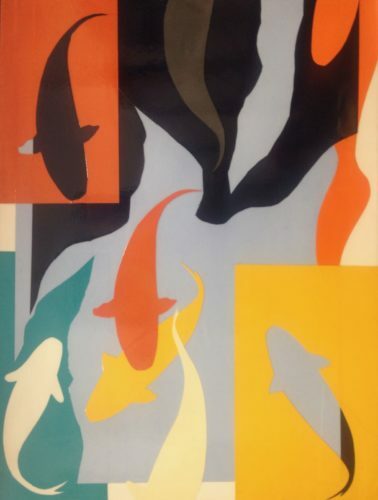 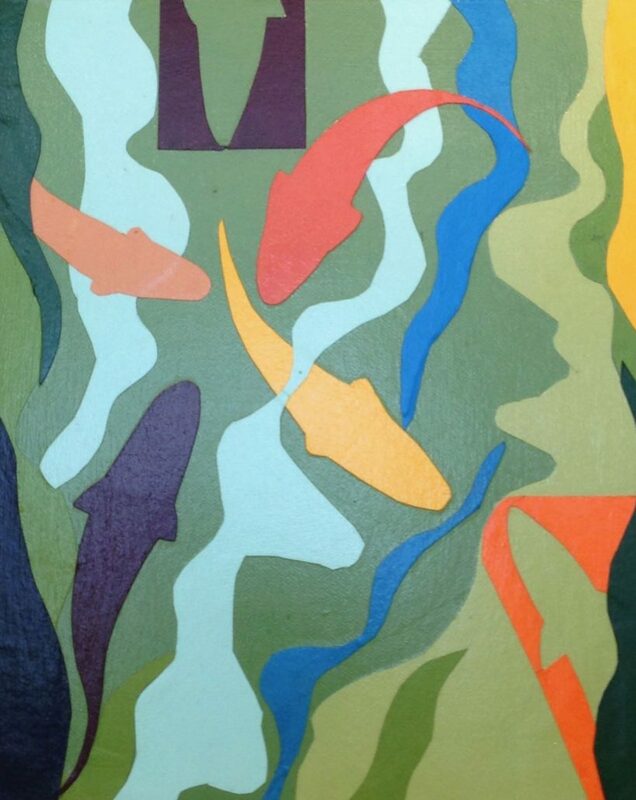 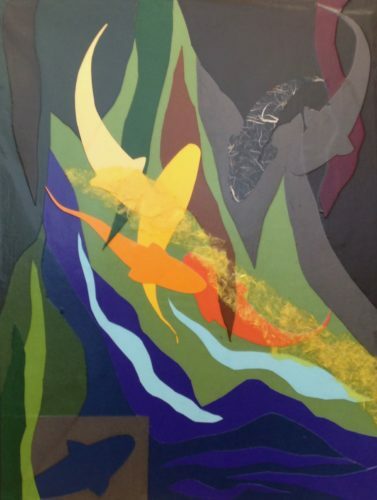 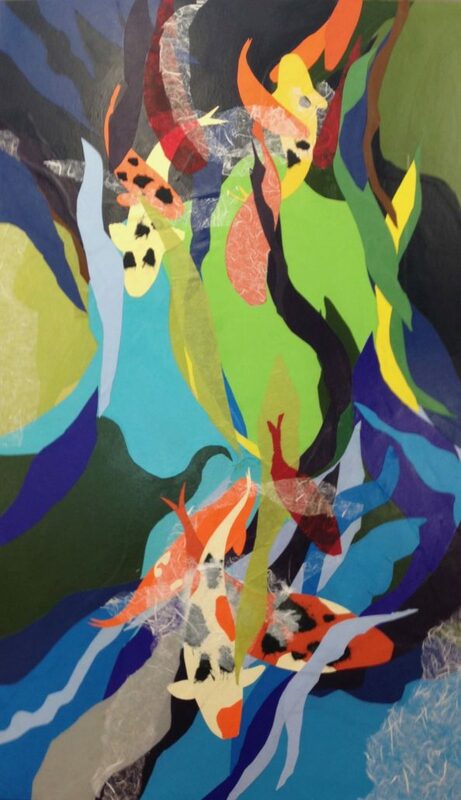 These cut paper works are loosely based on observations of koi ponds, specifically the flow of the fish and the reflections on the water surface. 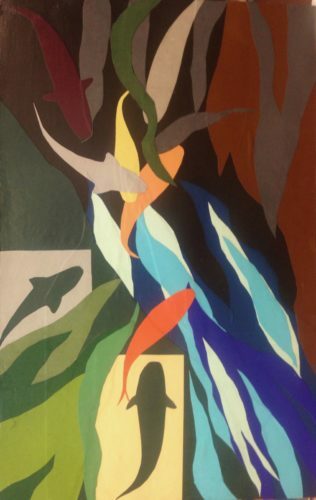 I was intrigued with representing the movement, shadow and light on water. 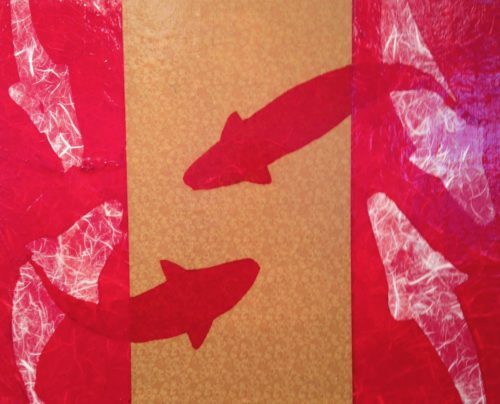 With the interactions of the fish with each other, which is not a casual type of movement. 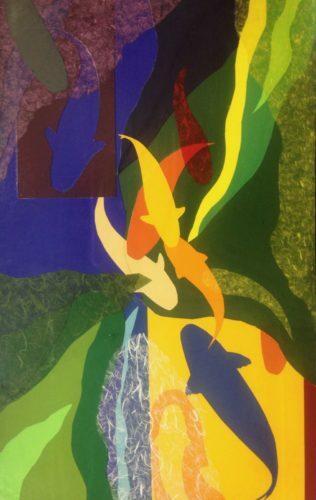 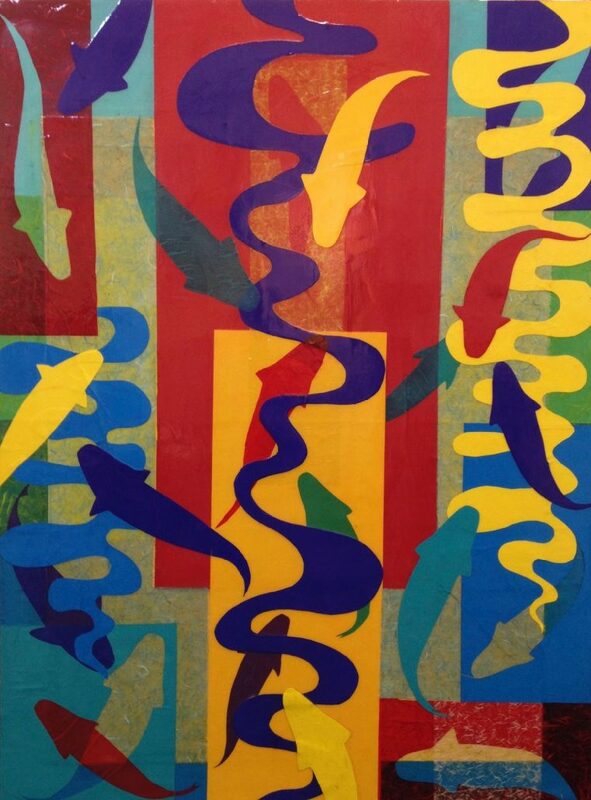 With how reflections are both abstract and representational at the same time. 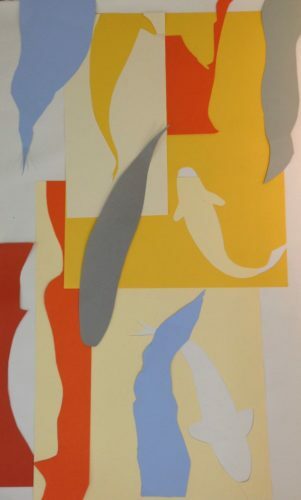 And finally with the challenge of creating these images with the flat surface of a cut piece of paper where only color and line can be used.